You're probably familiar with ShopNBC if you're a late night tv junkie like me. I've never actually ordered anything from tv but ShopNBC actually has some cool items and a really decent website. 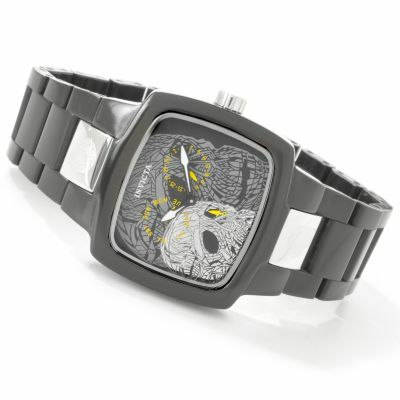 I love these Invicta skull watches. Total quality and super snazzy. They are available in very limited quantities though so if you really like them I would advise jumping on these deals fast. 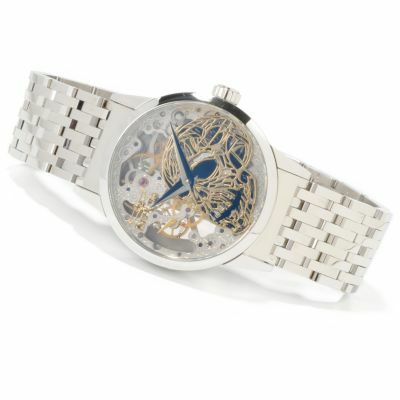 Good watches aren't cheap but if you're a first time shopper at ShopNBC you can take 15% off your first order by entering code 8508 at checkout. This one is way out of my budget but it's just amazing. A few short weeks ago I blogged about the delicious bacony ice cream treat (the Choinkwich!) 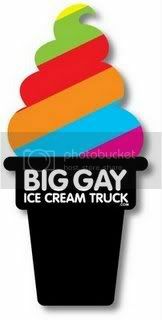 from the Big Gay Ice Cream Truck and now I've got another scoop for NYC. My friend (big thanks Kalia!) sent me a link a few days ago to the news that the Wafels and Dinges truck is now offering Bacon Waffles! For those not in the know, the Wafels and Dinges truck has been roaming the streets for a few years now, putting tasty waffles in the hands of hungry New Yorkers. I've passed this truck plenty of times on my oh-my-god-Im-going-to-be-late sprint to work but you'd better bet that I'll take the tongue lashing from my boss to be able to start my day with a syrup-laden sugary bacon waffle. The NY City Dish did a nice review and I borrowed this picture from their blog until I have one of my own to post. If you're in the area, follow the Waffle Truck on Twitter to see where they are and any specials going on. 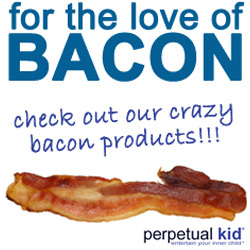 No, this isn't a late April Fool's joke, Archie McPhee is serious about the bacon novelties. This is by far the most mouth-watering meatcentric board game ever created! As you move your bacon character along the path through Meatland you'll have to navigate your way through areas like the Mustard Marsh, the Wiener Wasteland and the Sausage Sea. The first one to make it to the frying pan at the end of the trail wins! Includes gameboard with spinner, four game pieces with plastic stands, twenty-four game cards and alternate rules that turn the game into a gluttonous meat feast! $19.95 ea. Wiener Wasteland? Sausage Sea? I am so excited about this game! I haven't played a board game in a long, long time, but I can't wait to get my hand on this one. It doesn't say of there are any age recommendations for this game, but I'm pretty sure Mr. Bacon's Big Adventure should be great for the whole family. Sorry it's been so long between posts. I took on a new project at work that is keeping me away from my computer during the day and I've been getting home so late that I'm having difficulty finding some spare time. Posting doesn't take that long but finding something exciting to post can take some researching. While I adjust to my new circumstances, I totally don't mind if anyone out there wants to send me something that you'd like to see on this blog, I'll be more than happy to check it out! 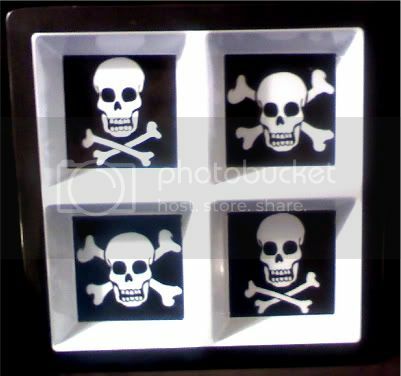 Meanwhile, I did find a few nice things on Overstock.com, they usually have something skully that I like and shipping is always so cheap. I'm really digging this black and purple skull robe. Those are my favorite colors and you can never have too many swanky robes. 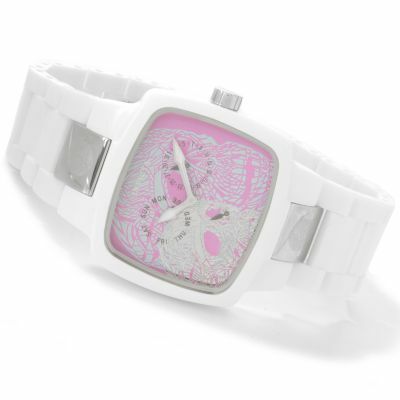 There's pink and white too if you're feeling girly. 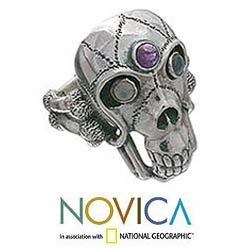 What I'm really excited about is this sterling Skull ring from Indonesia. Unfortunately, there's only size 10 left. Fortunately for me, that's exactly my size. I love the amethyst and moonstone eyes. 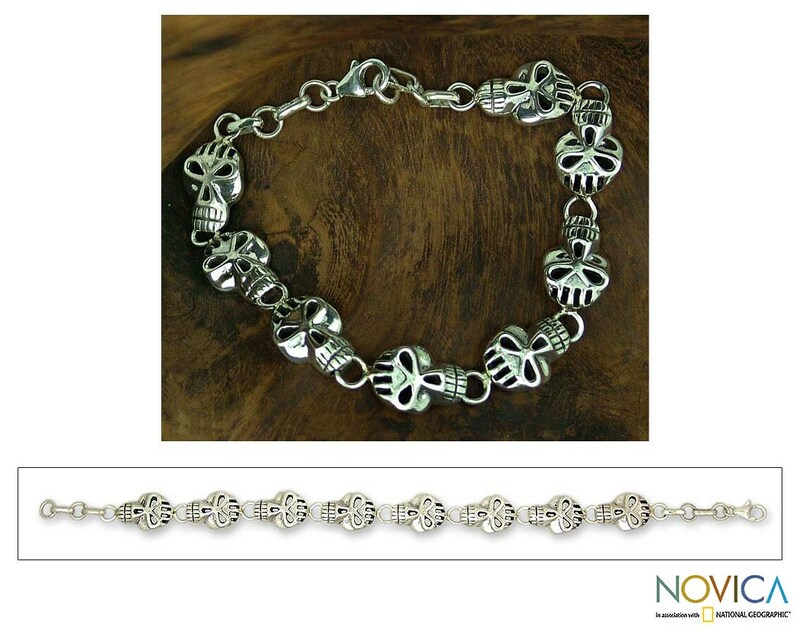 This men's sterling silver skull bracelet from India is also pretty unique. If my boyfriend had one of these, I'd probably just steal it for myself. Vosges Chocolat, home of the famous and oh so yummy Mo's Milk Chocolate Bacon Bar has a new goody for us bacon lovers to drool over. The newest member of the bacon + chocolate family combines the Mo's Bacon Bar with fluffy flapjacks. These buttermilk pancakes are spotted with chunks of Vosges's most popular Exotic Candy Bar, which combines applewood smoked bacon and Alder sea salt with deep milk chocolate. Sound heavenly! I'd probably add extra bacon. There's never too much bacon. 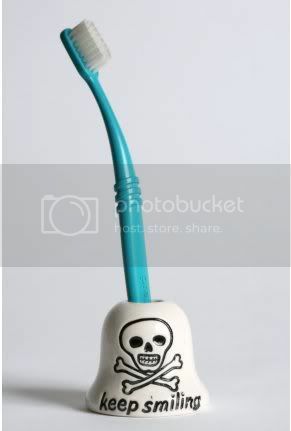 Not much to say about this ceramic Skull Toothbrush Holder ($10.00) from Urbanoutfitters.com other than it's cute as hell and I want it. Do you believe in fate? I do, especially where it concerns bacon and ice cream. Tonight, before I left work, I was searching the interweb for some bacony goodness to post here. You may not be aware of this, but it's not always easy finding something new, exciting and post-worthy, bacon-wise. 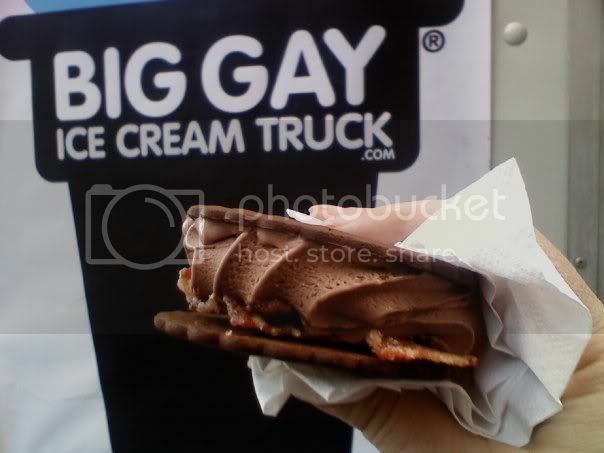 So anyway, I come across a picture on Flickr of a bacon ice cream sandwich from the Big Gay Ice Cream Truck. Intruiged, I went a googling. and THEN, I noticed their schedule posted which said the truck was currently DIRECTLY OUTSIDE OF MY OFFICE. Holy crap! Checked their Twitter and saw that they were heading to midtown in a few minutes. I grabbed my bag and shot out of the door on a mission. Yummy caramelized bacon, soft serve chocolate ice cream between two cartwheel cookies. OMG. DELICIOUSNESS. I've been doing a low-carb diet for a while now and this certainly wasn't in the plan, but I had to have it. I walked down 17th street like a little kid in a candy shop. I talked to the guys in the truck and they were very nice but in my excitement over the bacon ice cream I was about to consume, I totally forgot to ask their names. I did pick up this magnet for $1.00 which is totally awesome. If you're in Manhattan and craving some offbeat ice cream treat or even just a sprinkled cone from some real nice guys, I highly recommend checking their website and twitter account for their location and current menu. According to their site the menu changes frequently and the bacon is just a trial run and in limited amounts, it wasn't even listed on the truck. The early bird gets the bacon! If you're lazy like me, you have no time, patience or skill to actually cook, you just like to eat. Thank goodness the guys over at BBQ Addicts understand this. Now you can order a delicious, fully-cooked Bacon Explosion™ and have it shipped directly to your door! All you have to do is heat it up anyway you'd like and you’ll have a wonderful smoked Bacon Explosion™ ready to serve in about 30 minutes. This is the best news I've heard all week! All hail BBQ Addicts! Thanks to DAVELOG v3 for the link! Mark your meat with this Skull & Crossbones Branding Iron. Whether you're curing your own slab of bacon or just having some fun with your steak and burgers on the grill, this item is bound to be the talk of the BBQ. The iron is easily heated with a gas/charcoal grill or propane torch. Just keep the hot iron away from friends, family and pets please, unless your crazy uncle/cousin/neighbor really really really wants that skull brand on his arm. If that happens, take lots of pics, we want to see! Kinda. 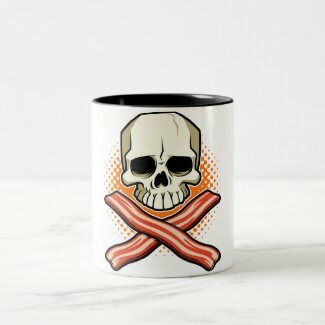 I spent tonight playing around on Zazzle and creating some Skulls & Bacon merchandise. 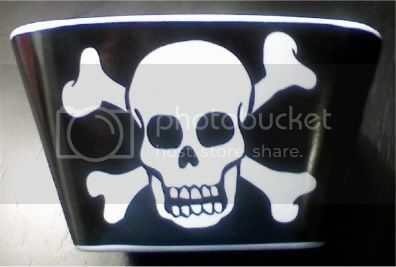 I've been dying to get my logo on a shirt and mousepad but I set up some other stuff such as aprons, mugs and stamps. 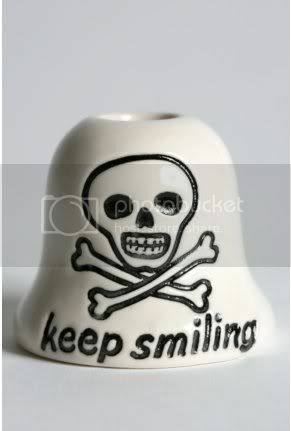 Please take a look at the Skulls & Bacon store and please let me know if you have any feedback for me. If there's a product you would like and don't see it, just drop me a line! I can always count on the Muppets to teach me new historical facts. If you've ever wanted to know the truth about the signing of the Declaration of Independence, well here you go!